Sinister Six Will Be the Next Spider-Man Film; AMS3 Coming in 2018! 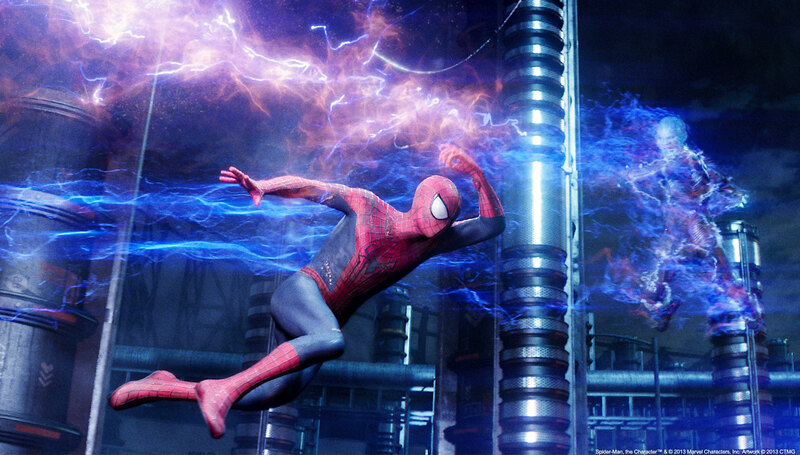 My enthusiasm for Columbia Pictures’ “Spidey-verse” evaporated with the abomination that was Amazing Spider-Man 2. AMS 2 is also the lowest-grossing movie in the franchise’s history, but that isn’t stopping them from pushing ahead, though it seems it has shaken up their release schedule. Drew Goddard’s Sinister Six movie, featuring the villains in Spider-Man’s rogues gallery, will be the next film released and not Amazing Spider-Man 3. 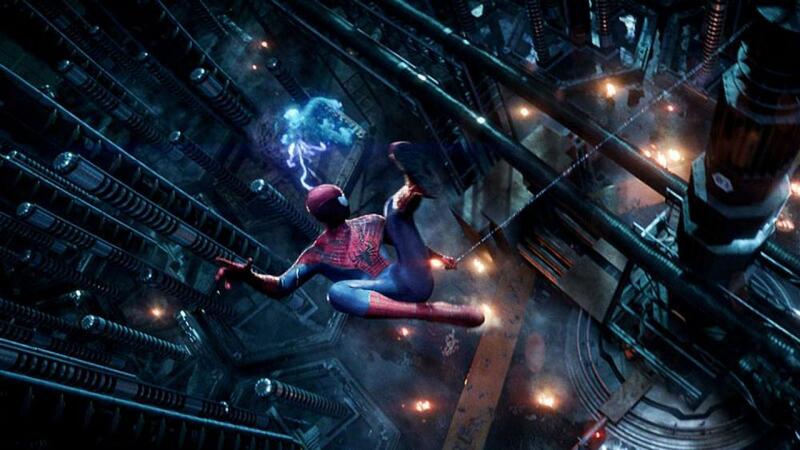 Perhaps they decided they needed to retool after the AMS2 backlash, or maybe Goddard was just more ready to go, but Sinister Six will release November 11, 2016. The Amazing Spider-Man 3 has been pushed back to 2018 (four years is a long time for a hero supposedly in his teens; wonder what kind of time jump in the story they’ll take). No word on the rumored Venom spin-off film. I was done with this all after AMS2, but might be tempted back if Goddard can right the ship with a unique film from the villains’ perspective. I have not see AMS 2 as of writing this article, so I apologize if I didn’t direct this list more toward plot points there. 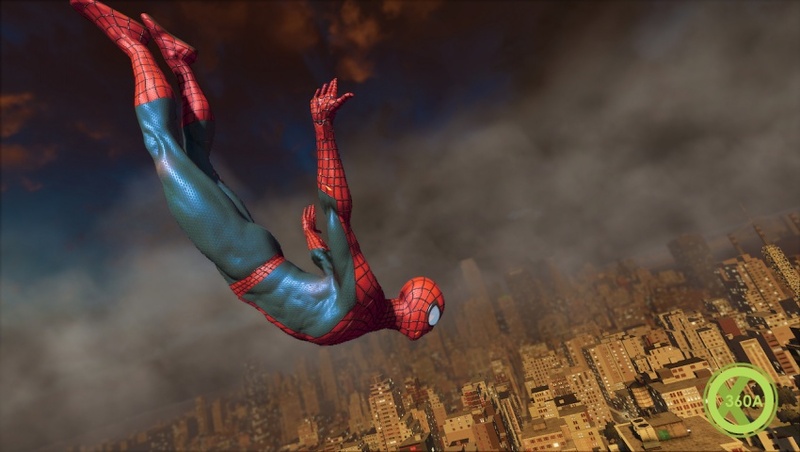 Spider-Man is Marvel’s crown jewel, so there are literally thousands of Spidey stories out there to continue your journey. 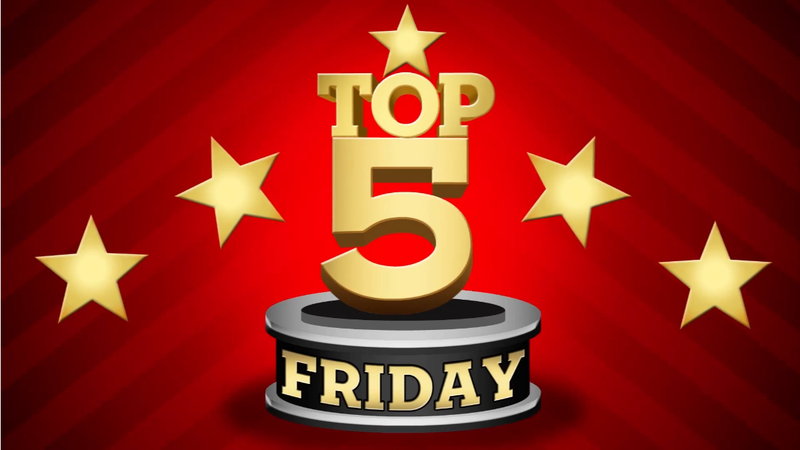 I chose my favorite five that you can find in collected form on Amazon with just a few clicks of a mouse. 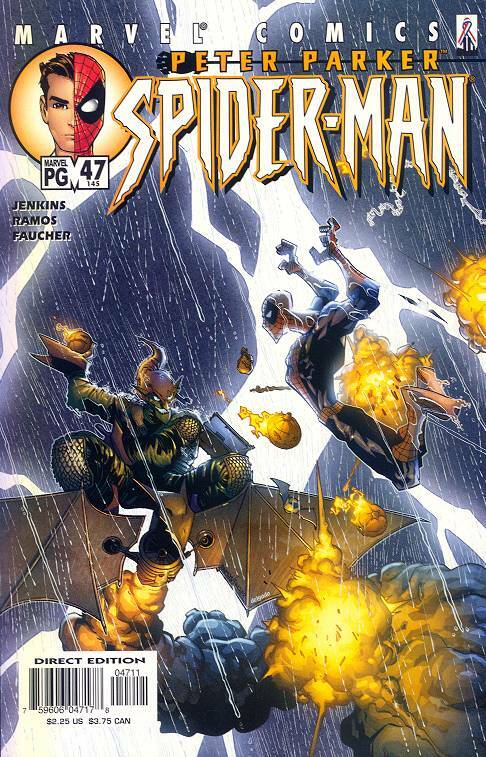 To me, this is unquestionably the greatest Spider-Man story of all-time. 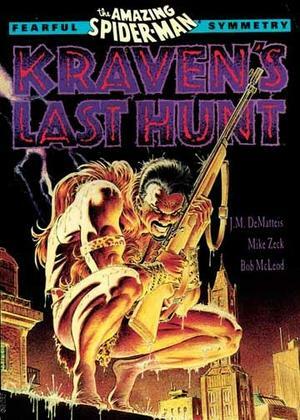 It features a dying Kraven (who is not even a primary villain) taking Spider-Man’s life apart in a final ditch effort to finally bag his prey all leading to a shocking finale. This is “The Killing Joke” of Spider-Man stories. I really hope this didn’t happen in the film, but I have a bad feeling where that stands. In the comics, this changed everything. Not just in Spidey’s books, but in comics in general. No one was safe after this. 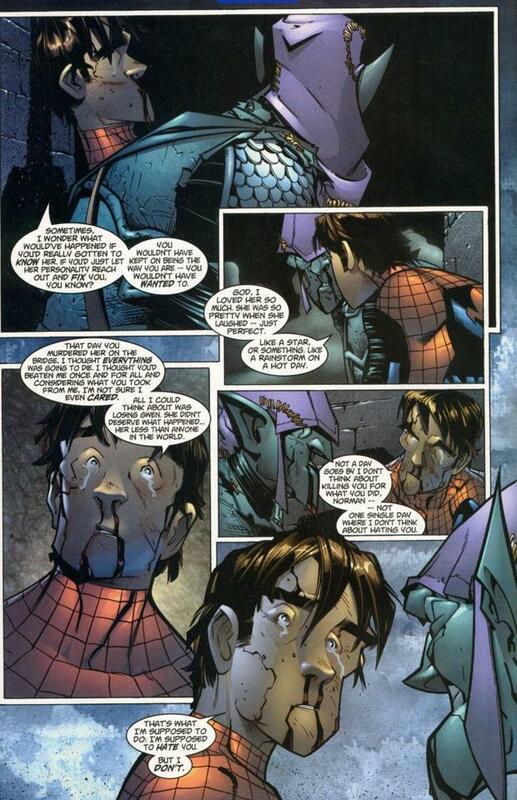 Peter never really recovers from Gwen’s death and it continues to affect his mindset today. 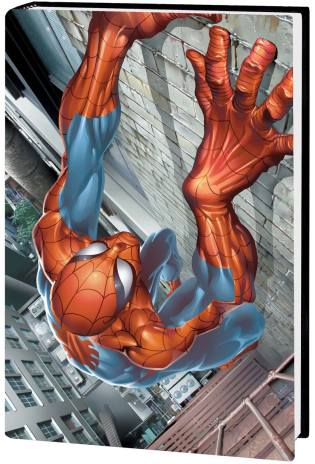 The Ultimate line is a separate Marvel Universe that began in the early 2000s and though the rest of the line has gone through ups and downs, the Spider-Man book has been written by the same author (Brian Michael Bendis) for the entirety of the run (over 200 issues) and the quality has remained extremely high. You can find this meaty tome used on Amazon for $35 and it’ll keep you entertained for quite a while. Whether you want to admit it or not, Venom is Spider-Man’s most popular villain. It should be the Green Goblin, and is among a lot of Spidey fans, but Venom has been hysterically popular since his introduction. 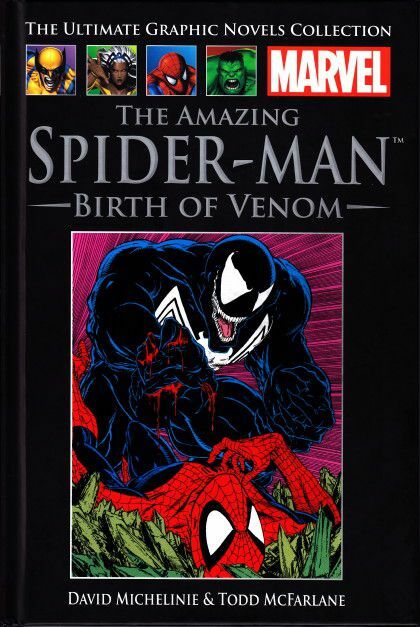 This trade paperback tells the origin of the symbiote, how it left Peter to bond with his rival Eddie Brock and become the psychotic toothy villain of lore. 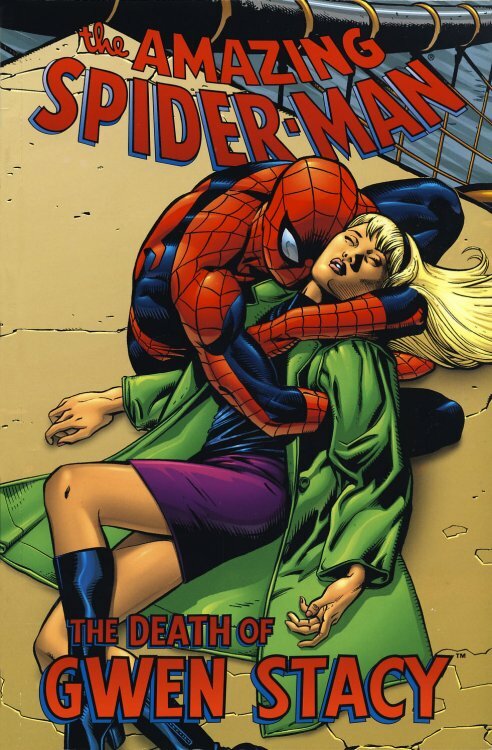 This one is a bit of a wild card, but it’s a four-issue arc that really is a sequel to the death of Gwen Stacey, because Peter and Norman talk about it, and talk about it at length. It’s extremely emotional and you see just how scarred Peter is still from the death of his first love even years later.